Hours: Hours posted at front door. Dinners Wednesday and Friday nights start at 5pm. Check Club calendar at www.sjiyc.com for any dinner cancellations. Comments: Clubhouse @ NW end of Front Street (2nd floor) just above offices and laundry at head of E dock. Bar, Lounge, Restaurant, Restrooms & Showers. Restaurants: Many restaurants, shops, & grocery just short walk. Other Information: Fuel at IPS dock. Propane/Ice blocks available at Fuel dock. Marine & Hardware stores in town. See www.sjiyc.com for additional businesses. Location: Port of Friday Harbor. "F" dock immediately inside NW entrance to docks - look for burgee/logo & signs. 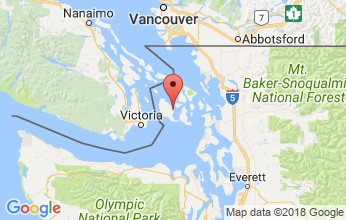 Dockage: 80' - First come, first served. 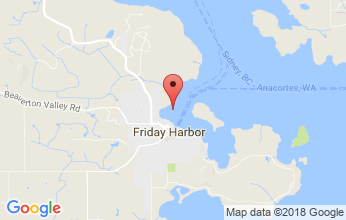 Time Limit: Please check in with Port of Friday Harbor office. Maximum stay 2 nights/30-day period. Fee $15.00/night, includes power and water. Inquire at Port office re subsequent nights at Port rate. Terms: Check in with Port Office. Rafting allowed up to 3 boats deep. Facility Comments: Restrooms, Showers, Garbage & recycling at head of main dock. Laundry at head of E Dock at 273 Front Street and on 'A' street & Nichols Street.